Nuclear War Now! is proud to announce its signing of Evil, a four-piece black/speed metal band from Japan. 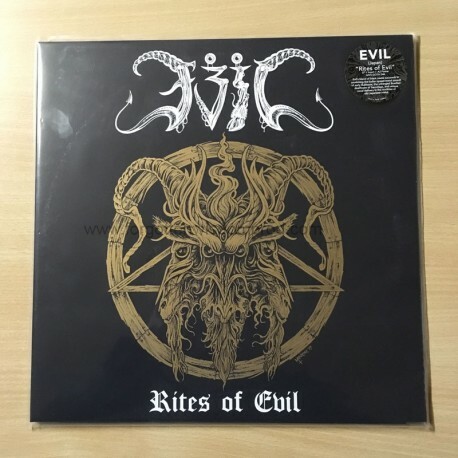 Formed in 2011, Evil has previously released two demos and a split CD, and now looks to introduce itself to a larger audience with its first full-length album, "邪悪を讃えよ(Rites of Evil)," which is already recorded and set to be released on NWN! in early 2017. Evil’s blend of black metal succeeds in combining the Italian speed metal assault of early Bulldozer, the unhinged Brazilian deathcore of Sarcofago, and the uniquely Japanese vocal style of G.I.S.M. Having toiled in the shadows to prepare this black metal Molotov cocktail, Evil is eager to unleash its incendiary debut on a largely unsuspecting public in the coming months.